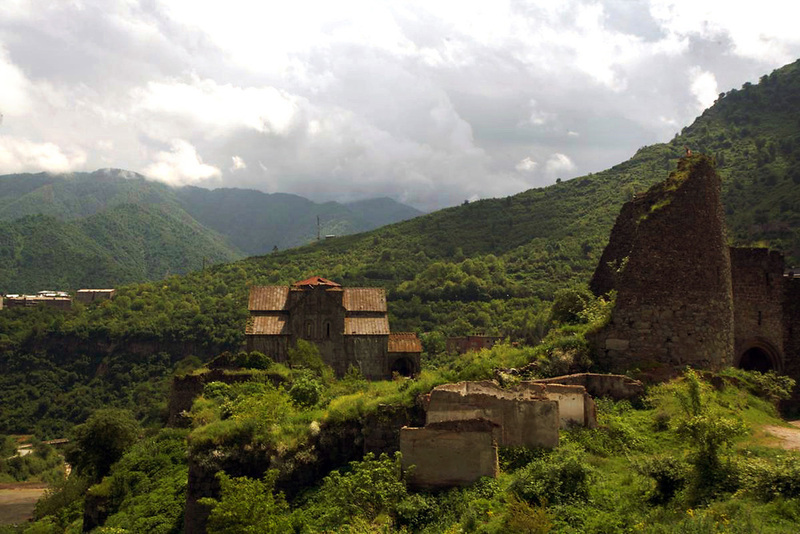 The Georgian Orthodox Church’s claim to several monasteries in neighboring Armenia is stoking religious tension between the two South Caucasus neighbors. The fact that Armenia was the first country to adopt Christianity as a state religion (in 301 AD) is a source of national pride in Yerevan, and government officials accordingly tend to be quick to defend the prerogatives of the Armenian Apostolic Church. Authorities in Georgia, the third country to make Christianity its state religion (in 326 AD, after Ethiopia), feel similarly strongly about the rights of the Georgian Orthodox Church. These deeply held opinions ensure that cross-border property claims are a delicate topic. Neither church today enjoys the status as a state religion, although both represent the faith of a large majority of Armenians and Georgians respectively. In the post-Soviet era, church relations have travelled on a bumpy path. A brief thaw set in after Georgian authorities in July approved regulatory changes that would allow the Armenian Apostolic Church to gain official status in Georgia. The Georgian Orthodox Church opposed the revisions, but Armenian Apostolic Church representatives told RFE/RL that it believed the objections did not have sectarian roots. These days, property disputes are the primary source of tension. In Armenia, the Georgian Orthodox Church desires official status and ownership of five monasteries in areas near the Armenian-Georgian border that it claims were founded as Georgian churches. Four of the disputed properties are in the Lori region -- the monasteries of Akhtala, Kobair, Hnevanq, and Khuchap. The fifth, the Kirants monastery, is in the Tavush region. The Armenian Apostolic Church supports its Georgian counterpart’s request for official status, but Armenian church leaders object to handing over the monasteries. “It [the Georgian Church] demands churches whose ownership is still disputed,” claimed Armenian Apostolic Church spokesperson Father Vahram Melikian. The Armenian Apostolic Church contends that though these monasteries may have functioned as Georgian believers during the 11th and 12th centuries, they were built as Armenian Apostolic churches and should remain so. Practical considerations also should be taken into account, added Father Vahram. The low number of ethnic Georgians living in Armenia –only about 600, according to government data – does not justify the transfer of five monasteries, Vahram contended. During a June visit to Tbilisi, Armenian Apostolic Church Catholicos Karekin II gave a more open-ended answer to Georgian Orthodox Church Patriarch Ilia II on the matter. “You put your arguments down, we’ll look at them. What prevents us from resolving these questions?” Karekin II said in an unofficial videotaped chat posted on YouTube. Ethnic Georgians in Armenia approach the church-property issue gingerly. Local Georgian Orthodox believers do not yet have official registration, a status that would grant them the ability to build churches. The law is applicable to all religious communities with at least 200 members. “It is unclear why they have not registered,” Father Vahram commented. Religious rights watchdogs in the past have reported that some Christian denominations skirt registration requirements since they see it as an avenue for government interference. Members of Armenia’s ethnic Georgian community tend to look to Patriarch Ilia II and Catholicos Karekin II to take the lead on tackling the question of ownership of the Lori and Tavush monasteries. The property disputes go both ways. The Armenian Apostolic Church lays claim to five churches in Tbilisi and one in the southern Georgian town of Akhaltsikhe, which has a large ethnic Armenian population. Father Vahram said the property claims were motivated by an Armenian church desire to defend the religious rights of ethnic Armenians living in Georgia. Such explanations, however, leave many in Tbilisi feeling suspicious.